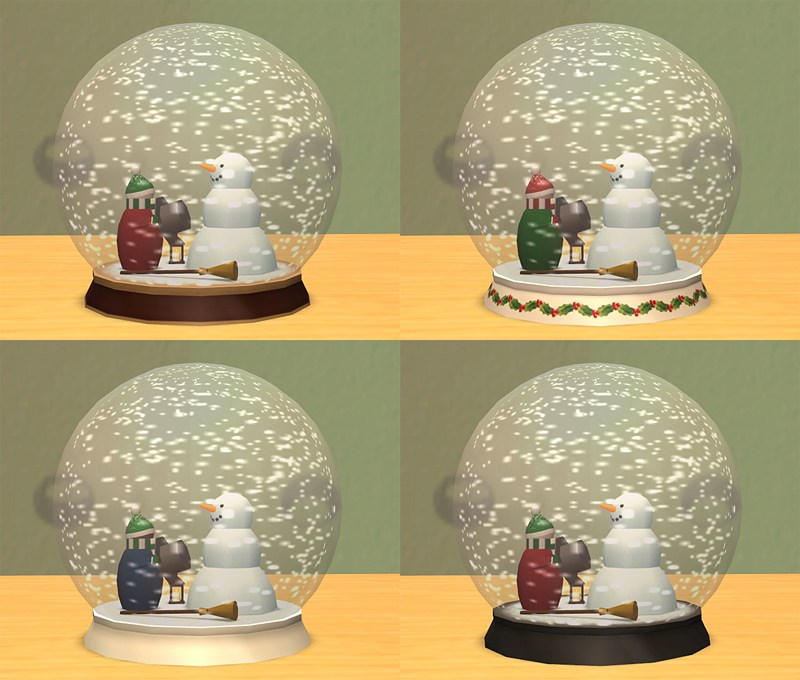 A snow globe for your Sims, so they can have a white Fishmas no matter in which waters they are swimming. The snow is animated, and so is the flame of the candle (not that you can see it without zooming in like OMG in camera man mode, but anyway), and some parts, like the snowman's nose and the flame/candle, are lit up just a little. 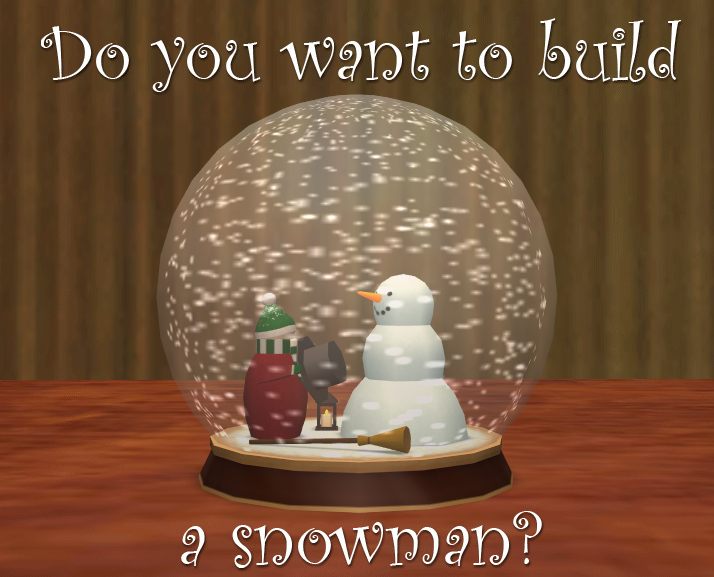 There are three recols for the snowman builder and four for the base. You'll find it in Decorative -> Misc. for $75. 1618 polys (so a little high), base-game compatible. May all your Fishmases be pike! I love this fishmas gift, SantaFish, 'Thank You' so much!